The Marian Koshland Science Museum features state-of-the-art exhibits that present the complexities of science in an engaging and accessible way to the general public. Best enjoyed by visitors ages 13 and older, the museum explores current scientific issues at the core of many of the nation’s public policy decisions, as presented in reports by the National Academies. The website includes current news from the National Academies, as well as field trip overviews, guides, pre- and post-visit activities and webquest activities. There are three online exhibits covering Science Behind the Headlines, which include Putting DNA to Work, Global Warming: Facts and Our Future, and Wonders of Science, covering questions of astrophysics. 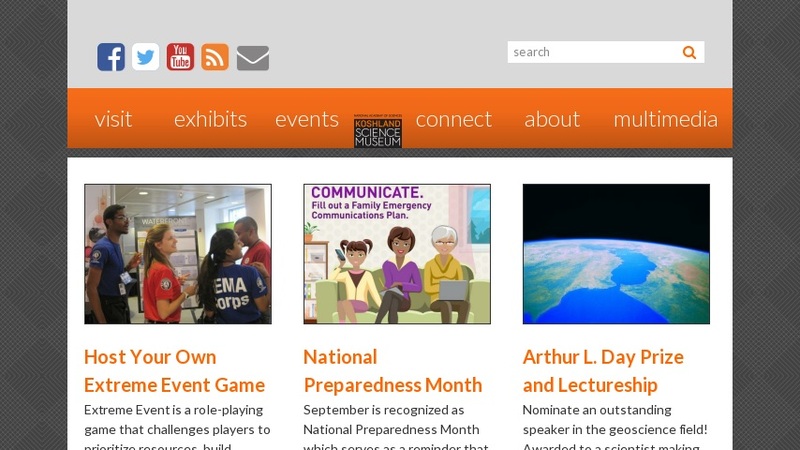 Each exhibit has extensive online literature broken down into chapters, teaching activities, associated web links, as well as audio and visual teaching tools. The Global Warming module even allows one take part in an online survey (conducted by Pennsylvania State University) regarding the tradeoffs we face in response to global warming. These three exhibits will become traveling exhibits available for other venues.